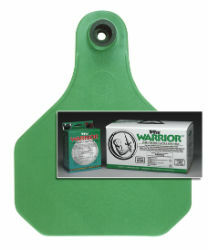 Dual organophosphate tag with up to 5 months control of resistant horn and face flies and ticks. Use one or two tags per head on beef cattle and non-lactating dairy cattle. Do not use on calves less than 3 months of age.